I absolutely love this sketch by Jen B.
I didn’t add a sentiment to the card as it is not clear just as yet what it will be used for. For some reason the yellowy golden background came out a lot lighter in the picture. Paper – I used some unknown cardstocks (the navy blue, reddish orange and the golden background), the teal is from the Basic Grey Lime Rickey paper pad. 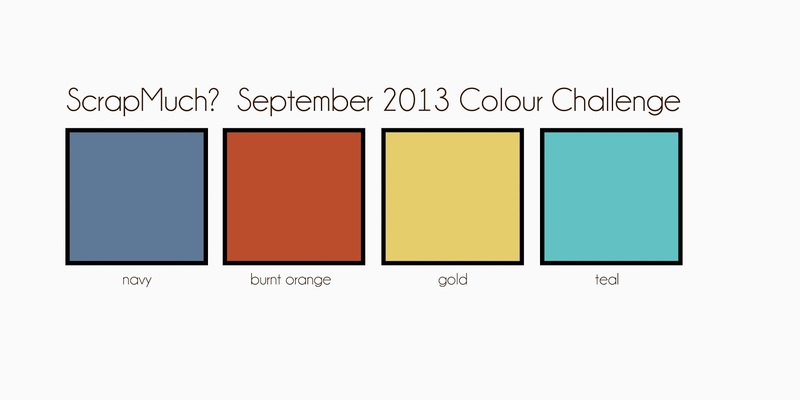 EDIT: I am thrilled to add that I have won the September ScrapMuch colour challenge. Thank you so much. 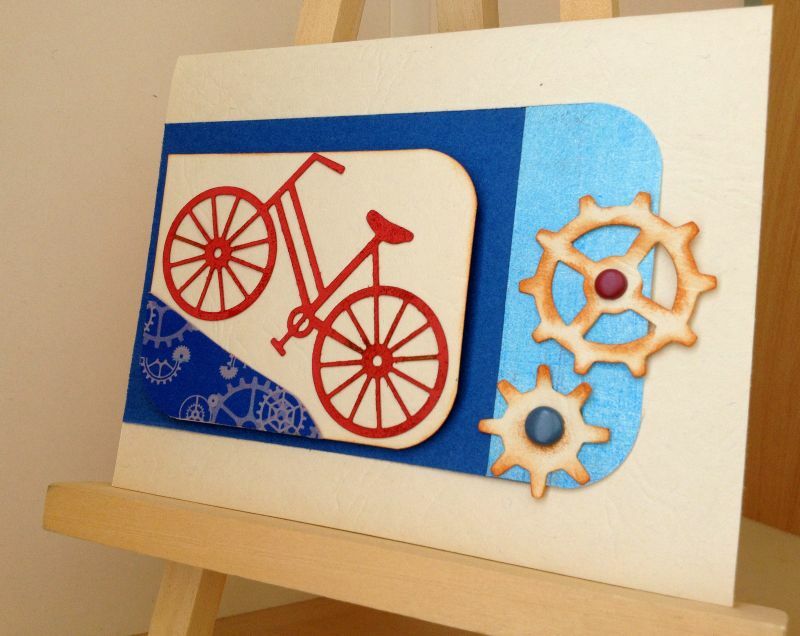 Great card, love the addition of the gears! Thanks for linking up at ScrapMuch?! Love the cute bicycle! And the gears make a great accent. Thanks for joining us at Freshly Made Sketches this week! 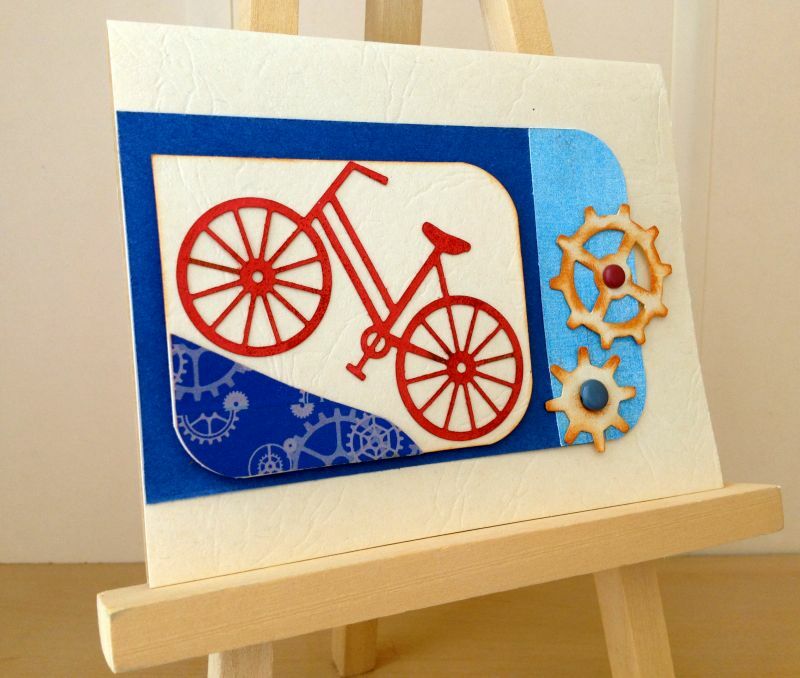 The bicycle is such fun with the gears…wonderful! Glad you joined us this week at FMS! Love this! love the inking and love that bike! So glad to have you joining in our ScrapMuch? challenges!